Wow, you made it till the end! Congratulations for this! You might feel confused after all this information got into your head but don't worry, this is normal. This tutorial took you from start to finish, from the basics to more advanced stuff and it's just the beginning to AdWords mastery. You might need to go through the tutorial one more time, so that you clear all the stuff you are confused about and revise the theory and this is OK, so if you feel you need it, just do it. What you need from now on is practice � launch your very own AdWords campaigns, monitor them closely, don't be afraid to experiment with new keywords and topics and as you gain more practical experience, you will see how Google AdWords lets you reach audiences you have never had access to before. 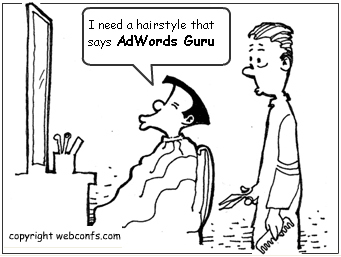 One more thing you need to bear in mind � AdWords advertising is not a static game. New rules and new opportunities emerge all the time. This means you must always keep an eye on what's new and take advantage of these opportunities or abide the changed rules before it gets too late. And who knows, after you become an AdWords guru you might decide this is the right career for you and make it your fulltime occupation!